"Clean, Well-Maintained Cabs Safe and Friendly Drivers"
Life moves quickly -- you need reliable transportation that can keep up. Here at Rochester Taxi Service, we strive to make getting from point A to point B quick, easy, and safe. When you need a taxi in Rochester, NY, to get you to the airport or take you around the city, rely on our team for a smooth ride. 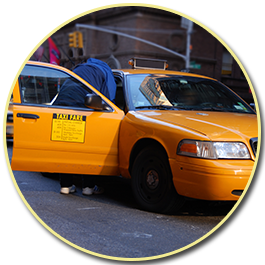 With more than 11 years of experience in the transportation industry, we aim to continue our proud tradition of providing you with the highest quality taxicab and shuttle services. You can count on our cabs to get you to your destination on time whether it's the Amtrak station, hospital, or airport. Furthermore, our timely service takes pride in its clean, well-maintained vehicles and well-qualified, friendly drivers. Take care of all your out-of-town guests or corporate associates with our advanced scheduling shuttle service. We work with your schedule and strive to make our service as convenient as possible. With one easy phone call, you can reserve transportation as far into the future as you like. Keeping you on time no matter what is how we quickly expanded our service for airport transportation. Our standard is personalized, quality service with a safe trip every time. 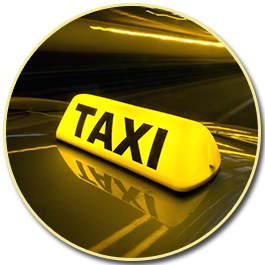 As a locally owned and operated company, our airport taxi drivers know the right routes and traffic patterns so you don’t waste time and money sitting in traffic. We’re proud of our reputation for high-quality, 24/7 service and aim to always exceed your expectations. 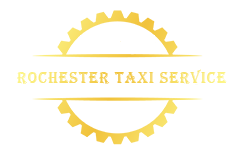 Call (866) 857-3004 today for the best rates near you or a free estimate. Whether you need corporate shuttle services or a driver you can trust with a fussy relative, we’re the company to call. 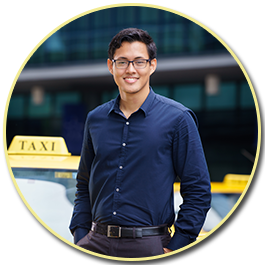 Our drivers are carefully screened before being hired and trained to handle all types of clients, including executives. Likewise, our entire team treats you and every other client with respect. Your satisfaction is of the utmost importance to us, so please let us know if there is anything we can do to make your trip more comfortable. Our drivers are always willing to go the extra mile for you. While we pride ourselves on our quick arrival times, safety is always our number-one priority as a taxi company. We abide by traffic laws fastidiously to ensure your ride with us is smooth and you reach your destination safely. There are never any bumps in the road when you take a trip with us. Contact us to schedule pick-up or reserve transportation in advance. We are based in Rochester, New York, and proudly serve clients throughout Monroe County.